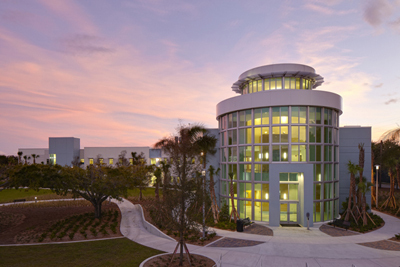 After hours access is available with a valid FAU Owl Card that has been activated for Link Building and Library access. Contact Tina Angelo for OWL CARD activation. Please check the catalog or ask HBOI Librarian, Pamela Alderman, for assistance. Should additional University closings be declared any holiday period, the Libraries will also be closed on those days. From I-95: Take I-95 to Exit #138 (Route 614 / Indrio Rd.). Drive East on Indrio Rd. 3.5 miles to U.S. 1. Turn left (North) and drive 1 mile to Harbor Branch entrance on your right. From Florida's Turnpike: Take exit 152, Ft. Pierce exit. Immediately after exiting the toll booth area, turn right on to SR 70. Take SR 70 to I-95 North access ramp. Go north on I-95 and take exit 138, Indrio Rd. Take Indrio Rd east to US 1. Turn left onto US 1, go north one mile and look for the Harbor Branch sign on the right hand side of the road. Follow signs to main campus.